Arnold Schwarzenegger is an Austrian-American former professional bodybuilder, model, actor, director, businessman and politician who served as the 38th Governor of California (2003â€“2011). Schwarzenegger gained worldwide fame as a Hollywood action film icon. Best known for movies : Conan the Barbarian, Terminator, Predator, Terminator 2: Judgment Day. 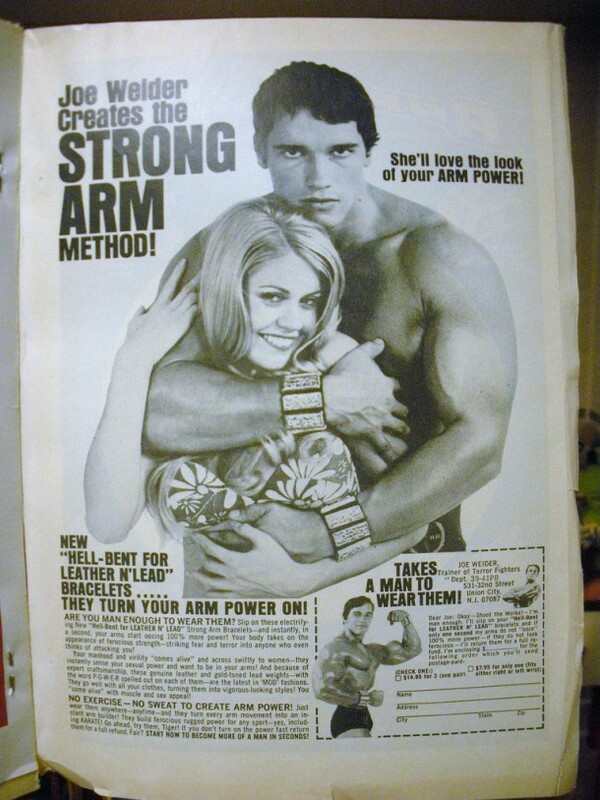 Science and Mechanics magazine ad 1971 with Arnold Schwarzenegger. Arnold Schwarzenegger in an early bodybuilding ad from his early days. 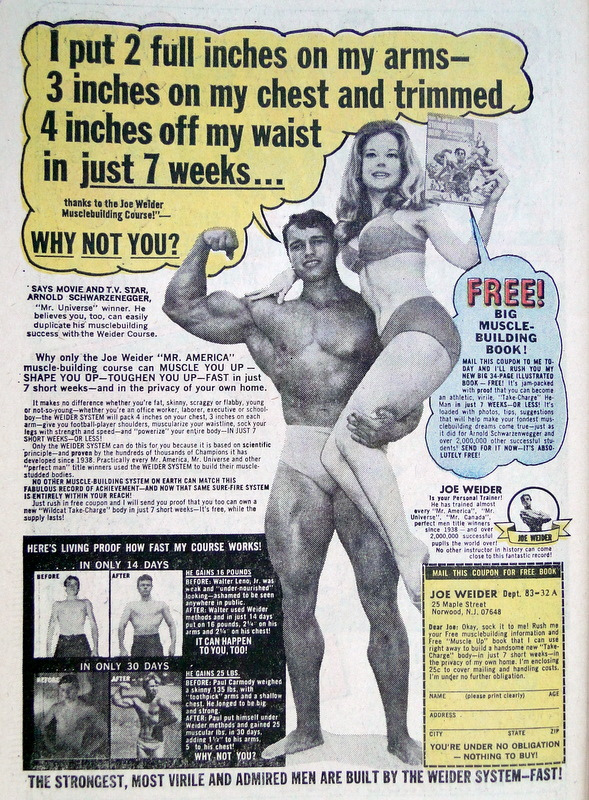 The woman he is holding is the wife of Joe Weider – Betty Weider. 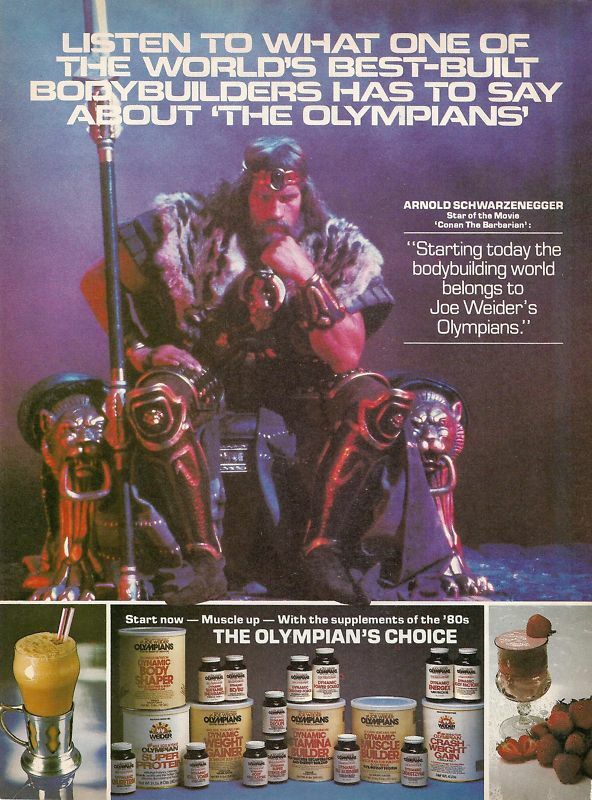 Weider print ad with Arnold Schwarzenegger, star of the movie: Conan The Barbarian. Collection of 30 commercials for Japan with Arnold Schwarzenegger. It only gets better so watch the whole thing.